Akaar 2017 was a success, showcasing the local talent of the Midlands at the Old Rep Theatre on Saturday 1st July. The journey began with an open invitation to Midlands based dance and music groups, of all backgrounds. The responses received was overwhelming, with a variety of emerging talents showing interest. As the performance day arrived, adrenaline filled the backstage dressing rooms, as the final preparations of the showcase took place. The weeks of intense rehearsals leading up to the performance had finally come to a close, as the dancers and musicians waited for their call backstage. All of the performers shared a passion for classical, folk, Bharathanatyam, Bollywood and Kathak, and were finally ready to perform on the Old Rep Theatre stage, to an excited audience. The public were thrilled with the standard of the show, eager to come back and see similar performances! Akaar 2017 wouldn't have been a success, without all of the hard working performers and supportive audience members! We hope to see you for another successful Akaar in 2018! 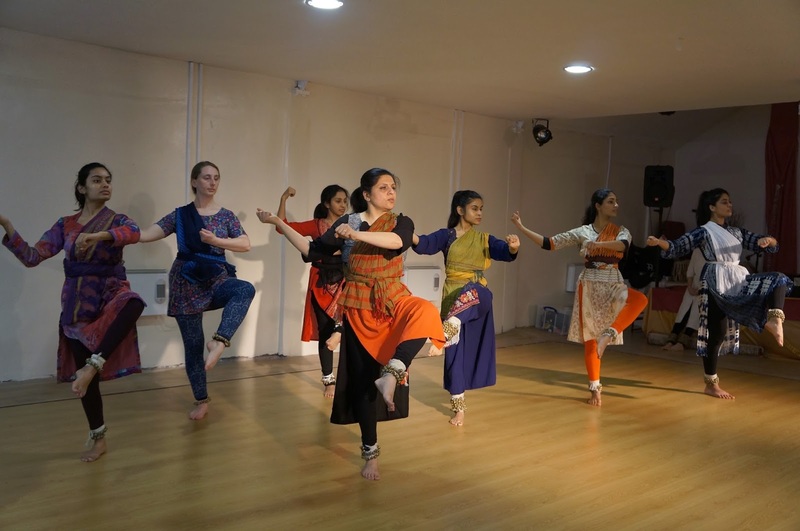 From the 22nd to the 26th February 2017 we ran another fantastic Kathak camp for Kathak and Tabla students from around the UK. They were provided with a chance to learn in a fun and focused environment to, enhance their skills and let their artistic nature flourish. We are very happy to say that’s exactly what they did! Students were able to focus on rhythm and creativity in Kathak and develop their relationship and understanding of Tabla music. Each day at we were treated to a room full of smiling faces and eager learners, it was a joy to watch them create and perform. None of this would have been possible without the hard work of all those involved. A special thank you to the renowned artists Rani Khanam (Kathak) and Sarvar Sabri (Tabla) and the dedicated and talented students. And another huge thank you to everyone who has given their support and time to the project. Keep your eyes peeled for our next Kathak camp! Bustling with guests of every age and artists of every genre, the Lighthouse in Poole was brought to life in an open day event like no other, organised to celebrate the re-opening of their arts centre. With dancers, actors and even circus performers this day was set to be one to remember, how could we not join in? We took the long journey down to Poole in order to add our own flavour to this event with a participatory Rangoli workshop and a special performance of ‘Salaam’. 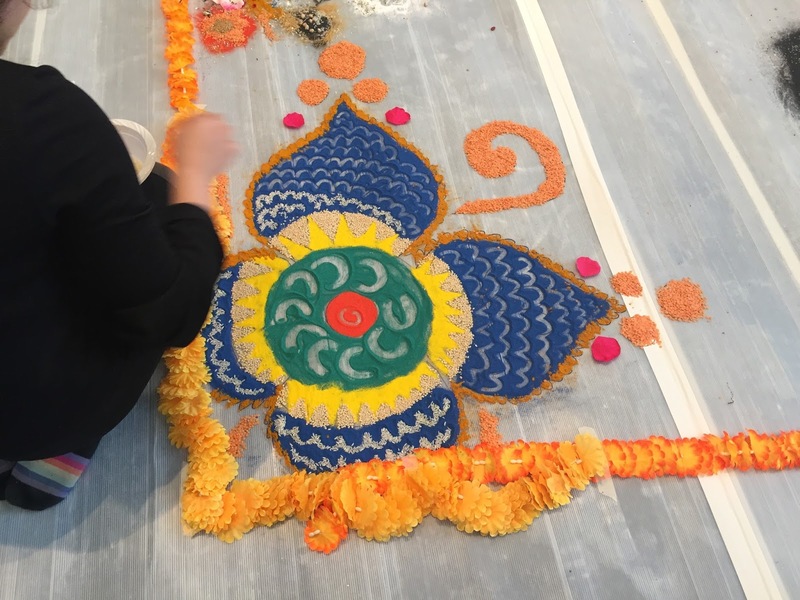 Our Projects Manager (and in house Artist) Mel Lewis hosted the participatory workshop, helping members of the public to create beautiful patterns and decorations on the floor, inspired by the traditional Indian art of Rangoli. 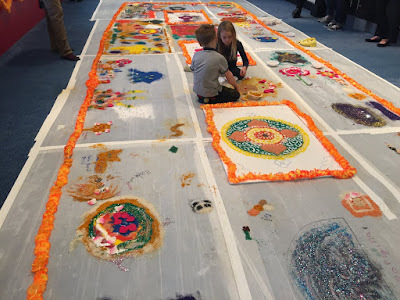 The bright colours and swirling shapes soon caught the eyes of the public and before we knew it we were bustling with people getting stuck in and releasing their inner creativity. From the abundance of lovely comments we know that this event was greatly enjoyed, and hope that our presence truly helped the day to sparkle. We hope everyone working at the lighthouse had a fantastic time too, and will continue to host a kaleidoscope of events in their wonderfully re-furbished arts venue! Are you a dancer, singer or actor living in Birmingham? Sonia Sabri Company is recruiting young performers for a new dance theatre project focussing on issues surrounding community & identity. Aspiring producers, designers, directors, script-writers, musicians and dancers are needed for the YOUTHINK project which runs from February-May 2012 to create a spectacular performance at The Drum Arts Centre.